It seems like we have been making a lot of Pork dishes lately. Pork is much cheaper then some other meats, and besides it gives us a chance to be creative when It comes to pork. This recipe was so easy to prep.Slow cooking some meals means more time for reading blogs, and more recipe research. Time: Prep to Finish- 7 1/2 hrs. – Remove Roast from packaging. – In small bowl, add salt, pepper, coriander, and garlic, mix well. – Rub the roast with the seasoning. – Add a small amount of oil to a frying pan, Sear the roast til browned on all sides. – In slow cooker add Stock or broth and onion. 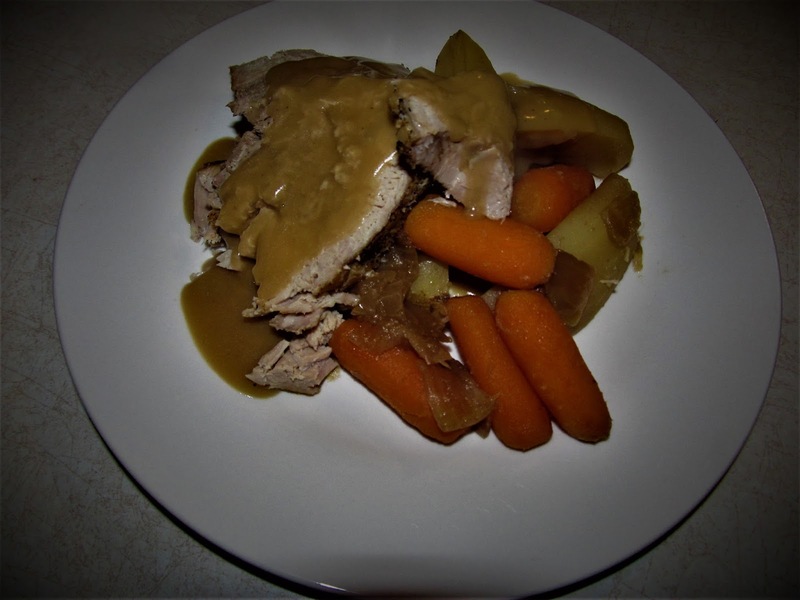 – Once the Roast is done browning add to the slow cooker. Cook on high for 1 hr. 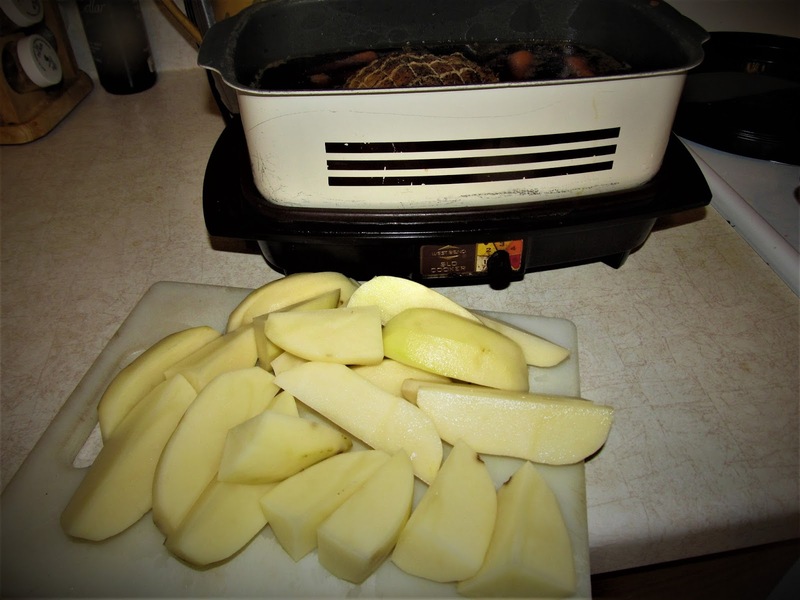 – Turn slow cooker to medium low heat for another 4 hrs. – After 4 hrs, add carrots and potatoes and allow to cook another 1 1/2 hrs. We had this along with our Homemade Pork Gravy, With a Buttered bun on the side. What is your favorite Pot roast Seasonings? Another enticing recipe!! Need to try this soon! Yum!